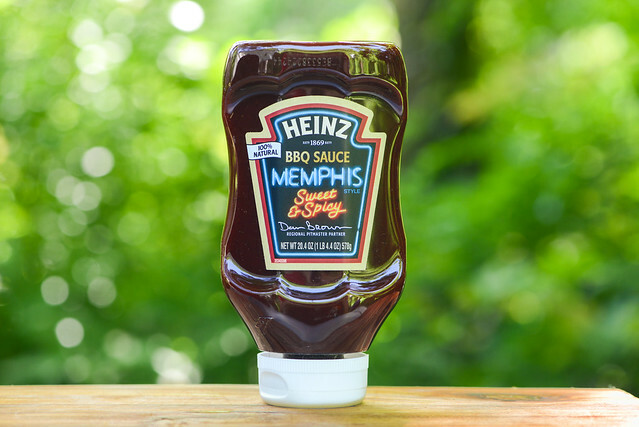 A Heinz product developed by Memphis's Dan Brown from Leonard's Pit Barbeque, this sauce brings a great robust—yet balanced—sweet, spicy, and tangy flavor. I'm going to make an assumption you're pretty familiar with the Heinz brand—if you're anything like most Americans, you grew up slathering their ubiquitous ketchup on just about everything. I would also venture to say that Heinz ketchup is a fairly standard bearer as base for barbecue sauces, but despite that perception, they have never been a major player in the barbecue sauce game themselves. Looking to change that and give strong validity to their barbecue sauces, Heinz teamed up with five top pitmasters to help them develop five distinct and regionally specific barbecue sauces. 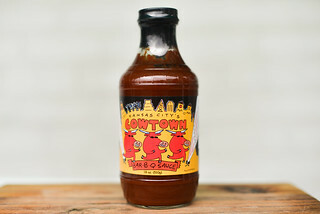 This particular sauce was created by Dan Brown from Leonard's Pit Barbeque—a Memphis institution since 1922. Dan developed his sauce using a sweet tomato base with the vinegar tang and peppery heat that loosely defines the Memphis style. 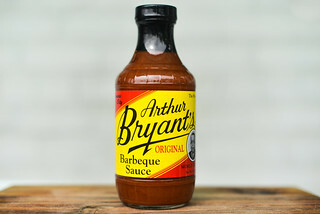 Your brain can't do anything except think barbecue when taking a whiff of this sauce. 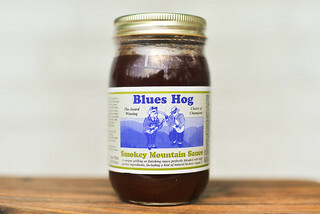 It hits all the marks of a standard barbecue sauce aroma—boldly sweet, tangy, spicy, and smoky. It's a mixture that's in a great balance, making the sauce feel robust and full. The sweetness comes layered with fruity tomato and molasses components, while the spice has extra depth beyond peppers thanks to onion and garlic. There's also a mustardy aroma that sits in the background, which adds to the sauce's overall complexity. As with the aroma, this sauce hits on a pretty standard appearance—glossy and smooth with a bright maroon hue. While it's opaque, it's not hard to see all of the small and large spice specs throughout. It weighs in just north of medium thick and falls first in one large glob off a spoon, with the remaining sauce releasing in a steady, syrupy pour. This slows to a couple final large drops of sauce, leaving a thick coating of sauce clinging to the silverware. All the ubiquitous barbecue sauce traits follow through in taste as well. 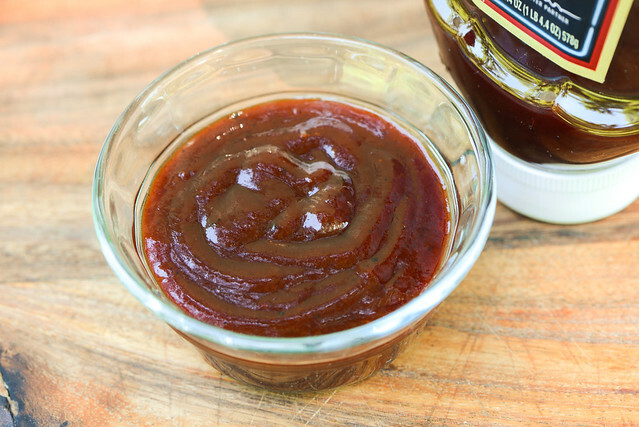 The sauce starts off nice and sweet with a syrupy sugar flavor mixed with tomato ketchup and molasses. The molasses gains more prominence as the sauce settles on the tongue, then some garlic, onion, and mustard flavors make themselves known right before the vinegar hits. Once the tanginess makes its entrance, it quickly steals the show, ramping up to a super tang that mingles with peppers at the end to create a final sweet, tangy, and spicy aftertaste. Despite the flavors all being what you'd expect in a barbecue sauce, there's an overall over-processed feel that is hard to shake. This sauce coated the chicken in a thick, spotty layer. It didn't bake down that well, which led to sauce burning off and sticking to the grates when moved over direct heat. The sauce that did remain developed nice caramelization, leaving a pretty attractive piece of chicken that had a deep maroon color with bits of charred sauce. The processed characteristic that gave me pause out of the jar was non-present after being cooked. This left the leg benefitting from that well balanced, robust sweet, tangy, and spicy profile, resulting in a pretty good piece of barbecue chicken. The sauce also retained most of its nuances as well, like molasses and mustard, although the light garlic and onion were harder to pin down after being cooked. When I saw Heinz had partnered with pitmasters I know of and respect, it got me excited that there may be a line of name-brand, low cost sauces hitting shelves that deliver quality and flavor that's more commonly associated with smaller scale production. It did prove a bit too good to be true, as the sauce suffered a processed feel that's commonly equated with a lot of the huge brands. That being said though, this sauce did deliver a flavor I found better balanced and more true to its origin than most other sauces in this category have proven to be. It was strong and bold without setting off a war on your taste buds, which let you really get all the flavors in there from the more prominent molasses, vinegar, and peppers to the more understated onion, garlic, and mustard. 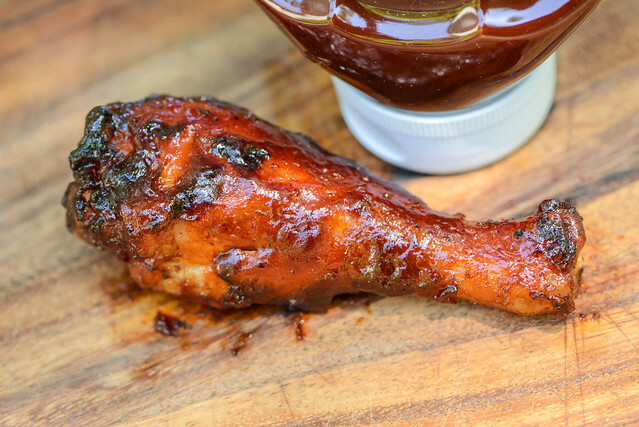 For the price, it's a pretty good execution that made for a tasty chicken leg and I image would be good on ribs, pork chops, and much more, although you will take a hit in quality and freshness that comes along with overall better sauces. @robbie 5 was my initial score, but it does a better job balancing and layering flavors than the average sauce, which bumped it up a notch in my mind.